A few things that will monitored: the throwing progression of Felix Hernandez, the conversion of Dee Gordon to centerfield, improving the baserunning and the few position battles. This year’s spring training will be a little different in terms of schedule and pace compared with the excruciatingly interminable 2017 spring training. Thanks a lot, World Baseball Classic. With March 29 slated as the opening day of the regular season for every major-league team, this spring training will be more condensed. 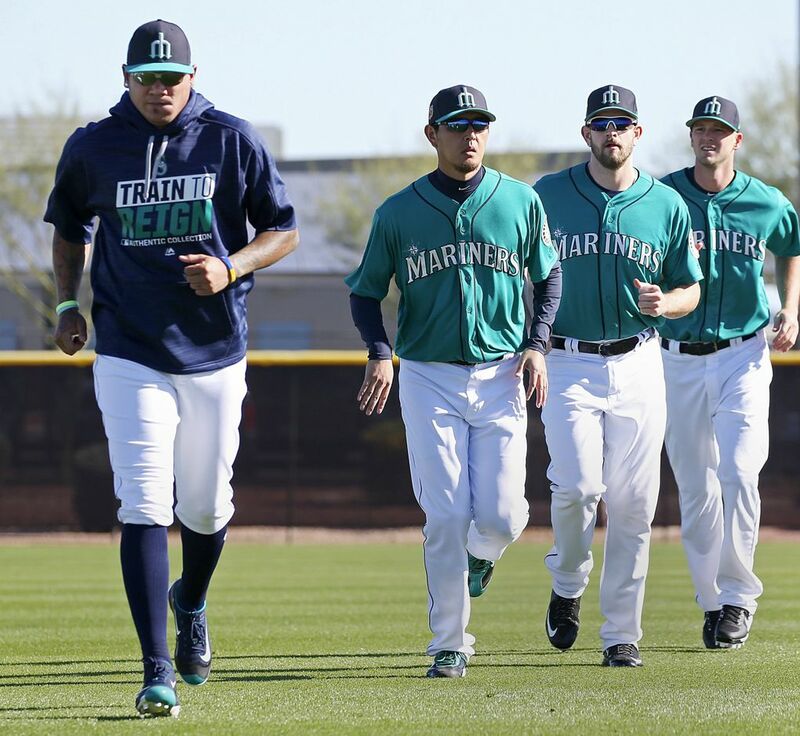 For the Mariners, pitchers and catchers report Feb. 14. with their first workout the following day. Position players report Feb. 19, with the first full-squad workout the next day. Cactus League play begins Feb. 23, meaning there will be a mere three full-squad workouts before games begin. 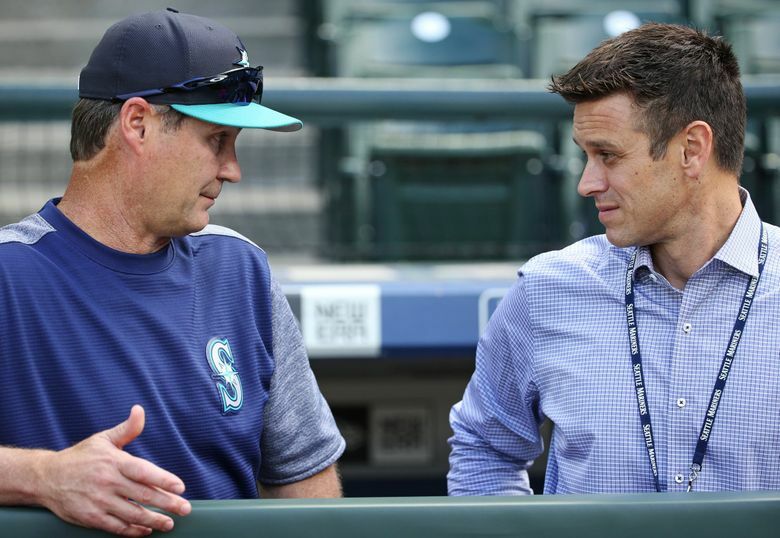 In this shorter spring training, there are plenty of things that will be monitored closely by manager Scott Servais and general manager Jerry Dipoto. Dipoto made it clear in the Mariners’ pre-spring luncheon how important Hernandez’s health is to the rotation this season. Because of the time missed last season and some of the issues in the past, the Mariners have decided to change Hernandez’s throwing schedule. Hernandez has been on that delayed spring throwing plan since around 2012. But Servais was adamant that he will be on the same routine as everyone else. The Mariners think it will help Hernandez stay healthy and avoid the shoulder issues that put him on the disabled list twice last season. Of course, all of this is predicated on Hernandez ramping up his throwing program earlier in the offseason and coming into camp having thrown a handful of bullpen sessions. 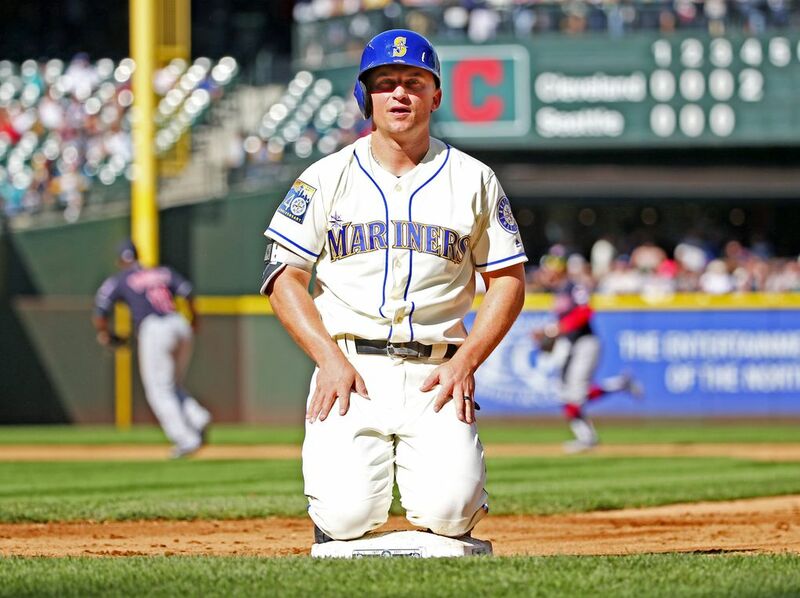 If he hasn’t done that, then the Mariners’ plan will have to be adjusted again. 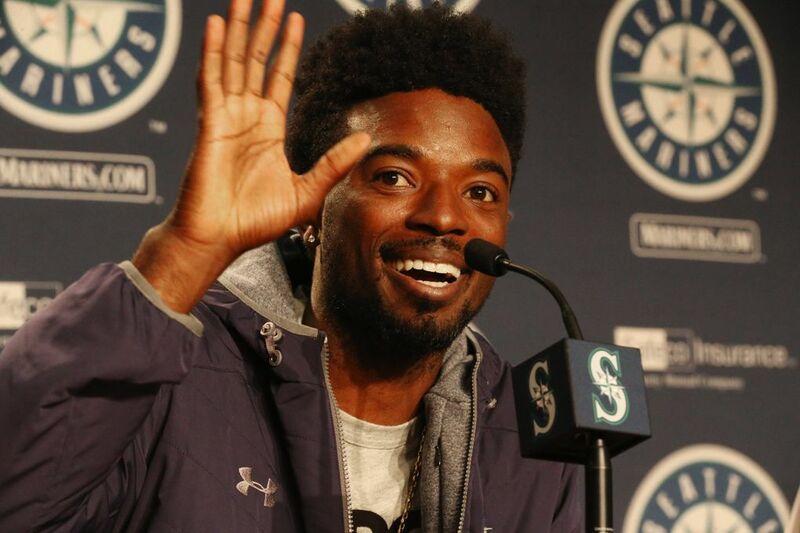 It’s not often a Gold Glove-winning, All-Star second baseman is asked to switch positions at age 29, but the Mariners acquired Dee Gordon from the Marlins to do just that. After the initial surprise and frustration, Gordon has embraced his expected role of everyday center fielder, working on it daily. He has talked with Ken Griffey Jr. about the nuance of the position and had Mariners outfield coach Chris Prieto come to his home in Florida twice to put him through drills and work with him. Cactus League games in Arizona are challenging for even the most seasoned outfielders because of the blinding sun, the cloudless sky, the wind and the way the ball carries. It will be a great early test for Gordon that will accelerate his game preparation. He’s certainly motivated. It has become a rite of passage in spring training — a manager proclaims his team will work to improve the overall baserunning after a previous season where too many baserunners ran into outs and ran the team out of innings and scoring opportunities. John McLaren said it, as did Don Wakamatsu, Eric Wedge and Lloyd McClendon. Servais joins that list. But his isn’t without reason. The Mariners were a catastrophe on the bases last season, running them in a manner similar to drunken college kids streaking across the campus quad. Servais plans to use meetings, film study, drills and basically anything he can think of to get it through to his players that it matters. The overall philosophy is quite simple. Outfielder Guillermo Heredia and reliever David Phelps are recovering from offseason surgeries and expected to have slots on the 25-man roster. Dr. Lorena Martin, the team’s director of high performance, was vague on their status going into spring training. But sources have said Heredia, who had offseason surgery on his non-throwing shoulder, could be a little behind and might not be ready for opening day. Heredia might be limited in the first few weeks of spring training as he continues his rehab. The hope is that he’d be back at the latest by the second week of the regular season. As insurance, the team signed veteran outfielder Kirk Nieuwenhuis to a minor-league contract with an invite to spring training. Nieuwenhuis has played in 414 MLB games and can play all three outfield positions capably. Phelps had season-ending surgery to remove bone spurs in his elbow. He’s already thrown a bullpen session so he appears to be tracking toward being ready for opening day. 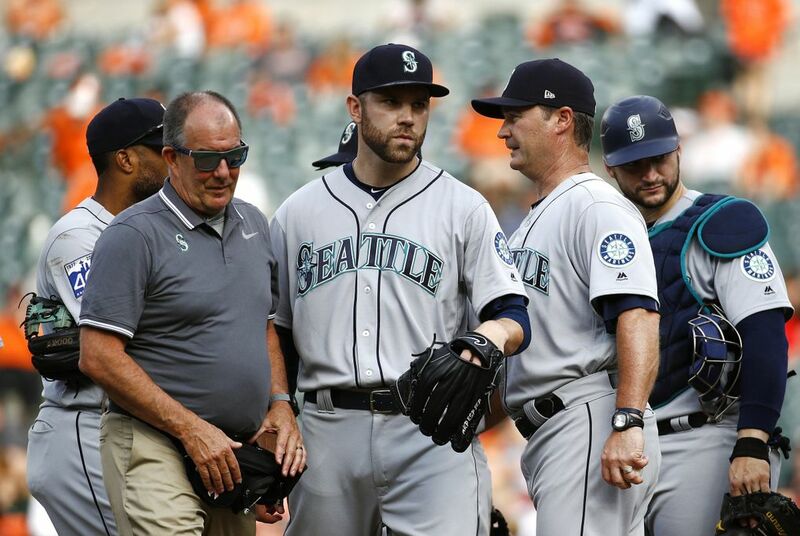 However, he’s a vital piece to the Mariners’ bullpen and late-game strategy so they won’t do anything that could lead to setback in the early days of spring training. Going into spring training, the Mariners have 22 or 23 of the 25 spots on their active roster locked into place. Obviously injury or massive underperformance can change that thinking. But realistically, there are two spots really up for competition: back-up catcher and final right-hander in the bullpen. 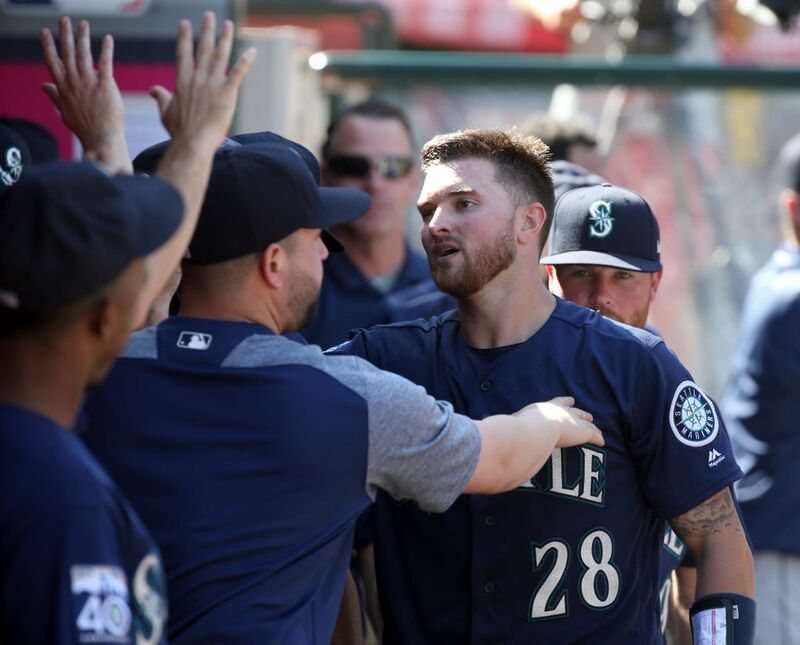 Michael Marjama, whom the Mariners acquired in August from the Tampa Bay Rays, and David Freitas, who was picked up on a waivers claim, will vie for the spot behind Mike Zunino. Marjama made his big-league debut in a September call-up last season and played sparingly. He projects as the better hitter of the two catchers. Freitas also made his MLB debut in 2017, with the Braves, after five years of playing at the Class AAA level. He’s considered the better defensive catcher, with advantages in blocking, receiving and framing over Marjama. If Phelps is healthy and Tony Zych returns to form, the last spot in the eight-man bullpen could come down to right-handers Shawn Armstrong, Dan Altavilla, Mike Morin and Nick Rumbelow. They all have big-league experience and can throw multiple innings. It’s nice depth to have. Both Altavilla and Rumbelow, who was acquired from the New York Yankees in a trade, have minor-league options. Meanwhile Armstrong and Morin are both out of minor-league options, which could factor into the decision to put one or both on the opening-day roster.